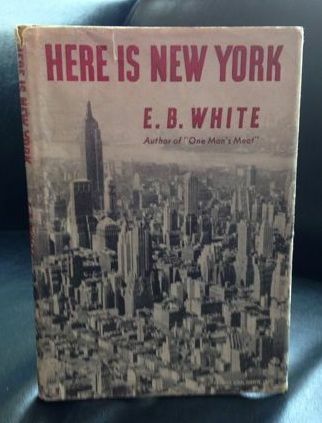 In Here is New York, White advises, “Summertime is a good time to reexamine New York.” In my New York, in the summer of 2014, I could use a friend like E.B.White. Although I can’t sit with him in person over a cup of coffee, I found that re-visiting his books was more than the next best thing; I have a friend for life. 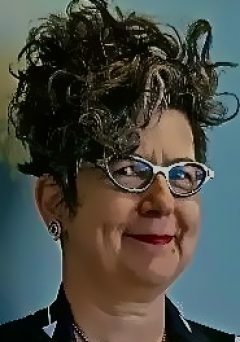 joyeux anniversaire and יובל שמח mazel tov! How wonderful! Love this little book. I’m gonna take out my own volume and reread it this week. Last time I read it was before 9/11 – so eerily prophetic. Thanks for writing this and sharing E.B White. It is so beautiful and prophetic. 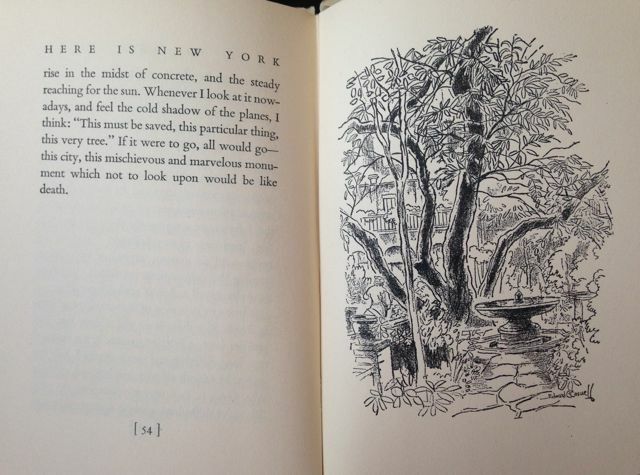 As I travel the streets of New York this summer, I will keep E.B.White’s words will close at hand.